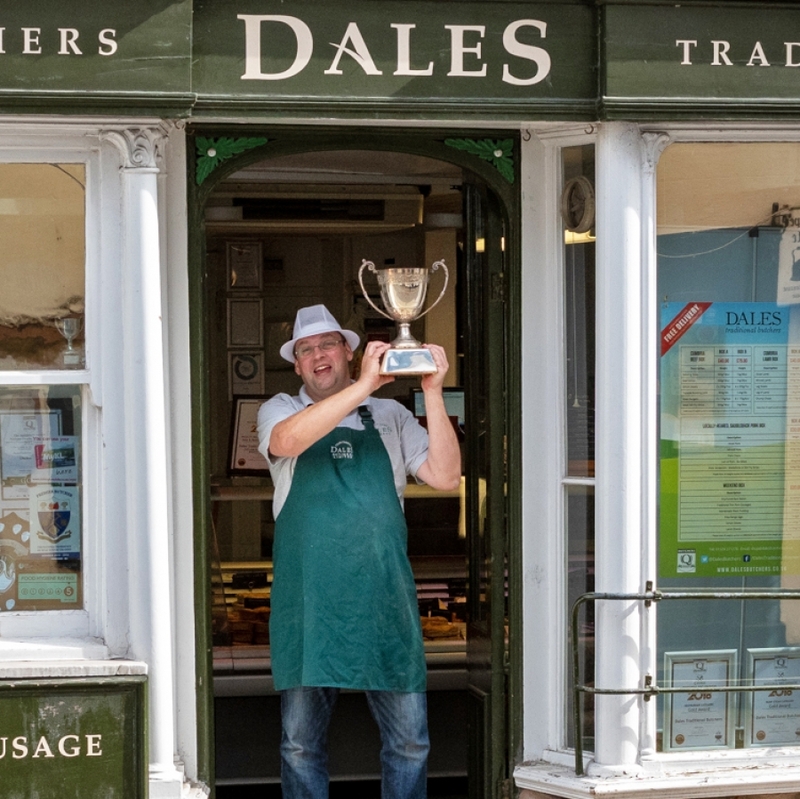 Dales Traditional Butchers of Kirkby Lonsdale proved it was king of the grill as it won the Speciality BBQ Product category at the Q Guild of Butchers National BBQ Awards, with its Lamb Rump and then went on to take the crown of Supreme Champion. The competition, which took place on Sunday 13th May at Aubrey Park Hotel in Hertfordshire, saw butcher Mark Duckworth beat off a host of other butchers from across the country to take the top prize at the awards dinner at the hotel on Sunday night. Mark won the Speciality BBQ category with his Lamb rump, a beautifully tender piece of Cumbrian lamb marinated with rosemary. Each of the category winners were then judged for the Supreme Champion with Mark taking the accolade. The BBQ Awards are held annually and are open to any of the 100 plus members of the Q Guild of Butchers throughout the UK. The seven regional heats, which took place in March, April and early May covering Scotland, Wales, South, South West, North East, North West, East and Midlands, each delivered one winner for the national finals. The six BBQ product categories were steak (prepared using only salt and pepper), traditional sausage, burger, speciality sausage, speciality burger and speciality BBQ product. Next Post Next Post: JOIN THE TEAM!